Our journey together begins as we build a friendship. Our clients value love, family, raw emotion, laughing until they’re crying and the cherishing a printed photo. Discovery – We work to discover who you two are and why you are in love. We first want to ensure we are a good fit as people. Meeting – We would absolutely love to meet you at our gorgeous Grove City studio where we can view sample albums and see sample wall art collections. Booking – After determining your perfect collection, we would issue a booking proposal and move toward sign a contract. We require a retainer fee of 50% of the total. The Wedding – The best event of your life…the best profession we’ve ever had! We end the day sweating our butts off on the dance floor. We don’t pose or fake things. We guide and encourage to elicit real emotions. Our clients want our epic photos…some get dirty, most laugh their asses off. Reveal Session – A night of excitement and celebration. You and your families come over to view your images in a stunning cinematic form. We laugh, cry, and reminisce. Design Consultation – We artistically create your ultimate album and finalize it with you in person. We design your wall art collections that will be displayed in your home for lifetimes. 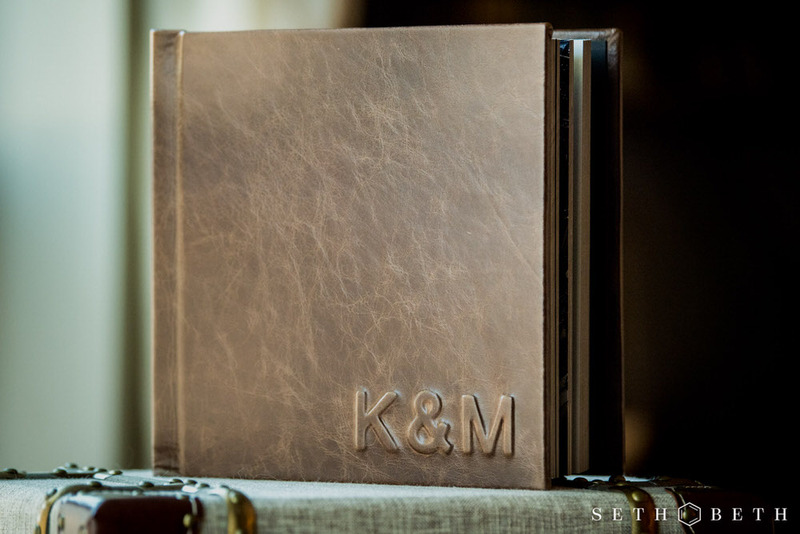 A photographic experience with our studio will culminate in a gorgeous wedding album for you to cherish. 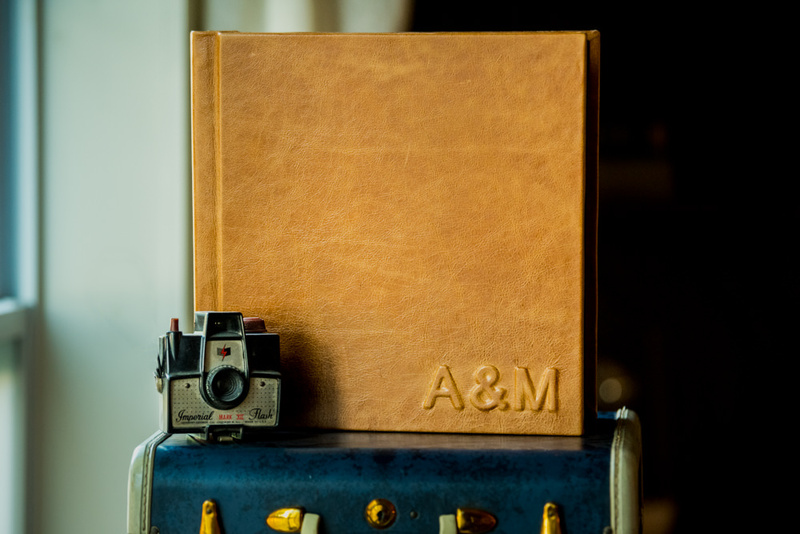 An instant heirloom, your album will bring life into your home for years. Handmade and artistically design, these albums will show off your unique wedding story and will be treasured for generations to come. © 2017 Seth & Beth Photography & Cinematography Studio.